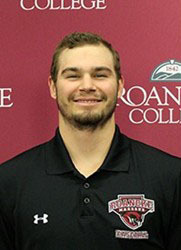 Roanoke College’s John Ruhlman threw the first no-hitter in school history on Saturday as the Maroons topped Eastern Mennonite 9-0 during the second game of a doubleheader at Salem Memorial Stadium. According to the school’s website, it was the first recorded no-hitter for the Salem, Virginia, school since the baseball program was reinstated in 2002. Sean Guida saved Ruhlman’s no-hitter in the seventh with an over-the-head catch. With two outs in the ninth, Ruhlman allowed the next two batters to reach base on a walk and an error before striking out pinch hitter Brendon Salladay.